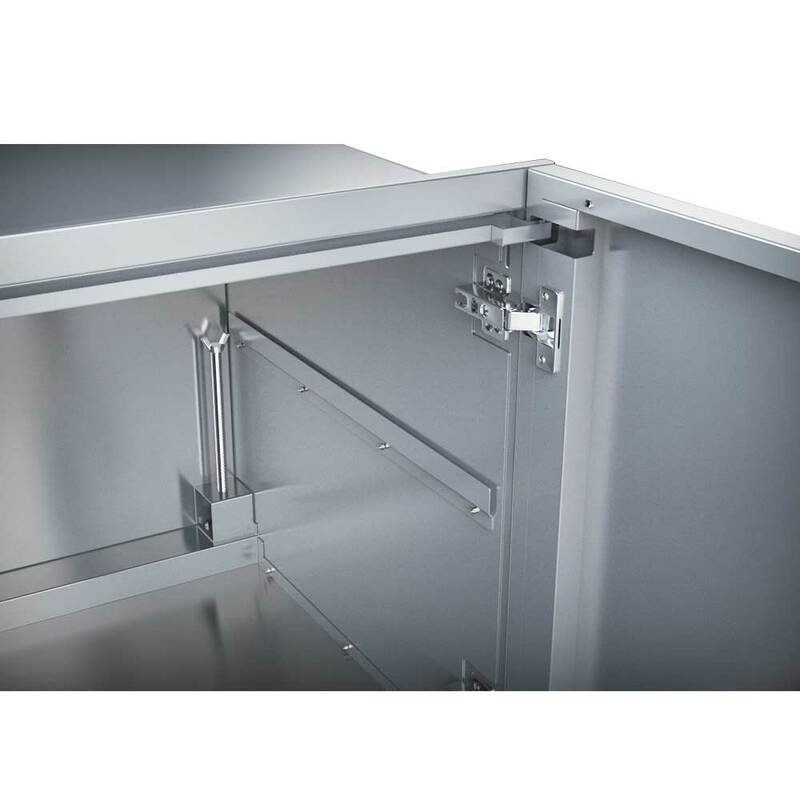 Drawer Frame is made from 16Gauge 304 stainless steel, and Drawer panel is made from 18Gauge 304 Stainless Steel. 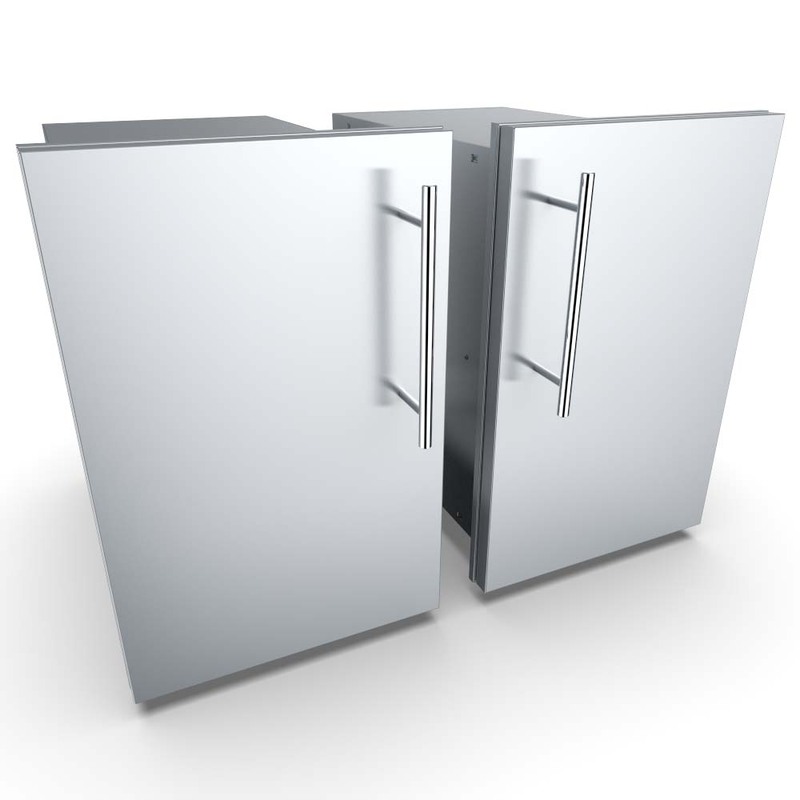 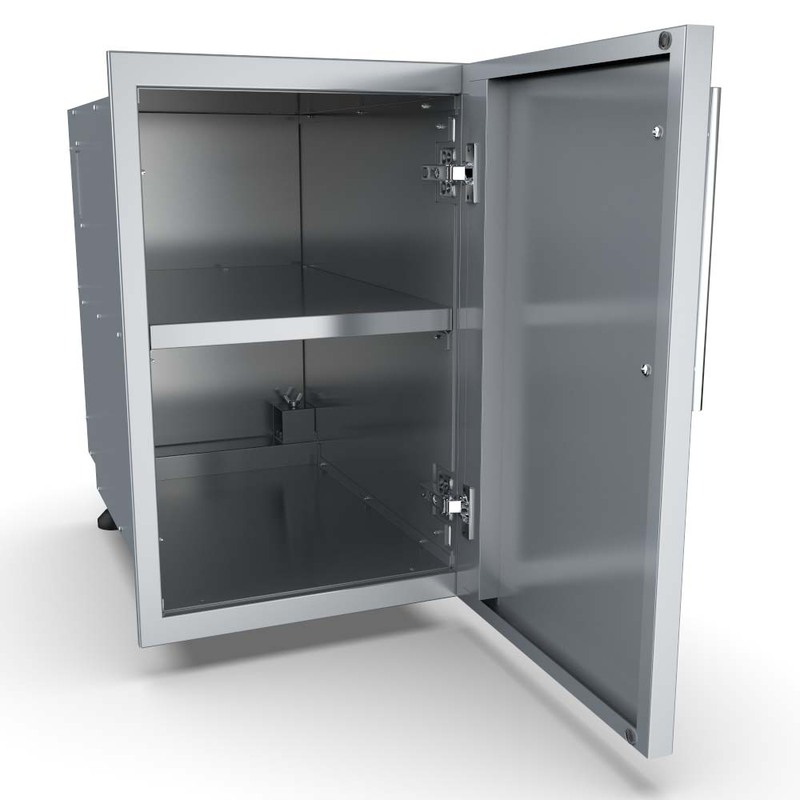 Handle is made of Solid 304 Stainless steel, back box is made from 18GA galvanized steel. 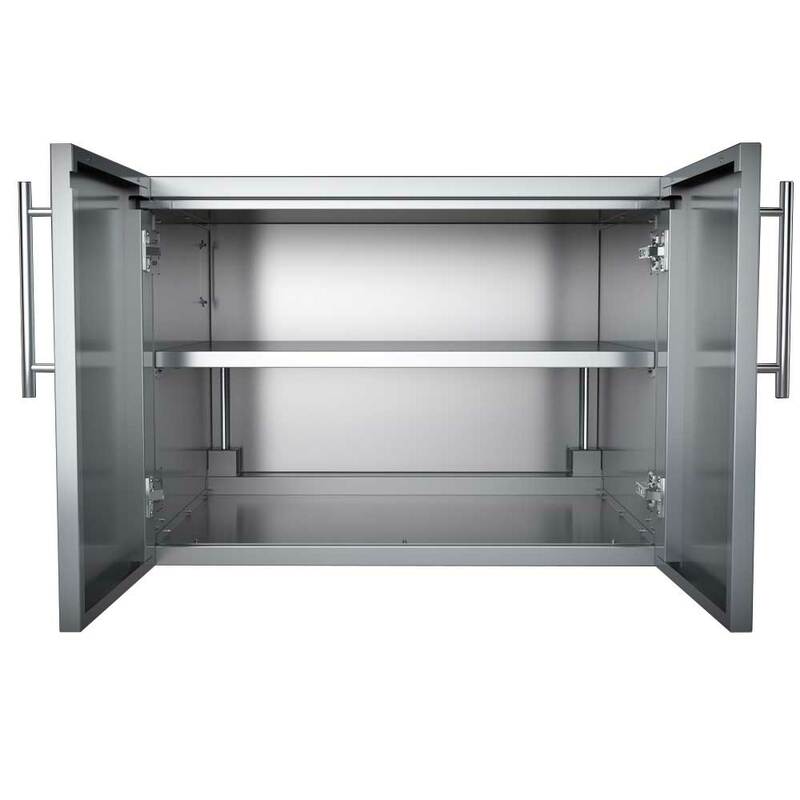 The Sunstone® Designer Series, Raised Style 15 in.Width by 23 in.Height Left and Right Swing Single Door Storage Pantry with inside Shelf provides a dry storage space inside island structure to store away oversized grill tools, BBQ accessories, sealed dry goods and other spices. 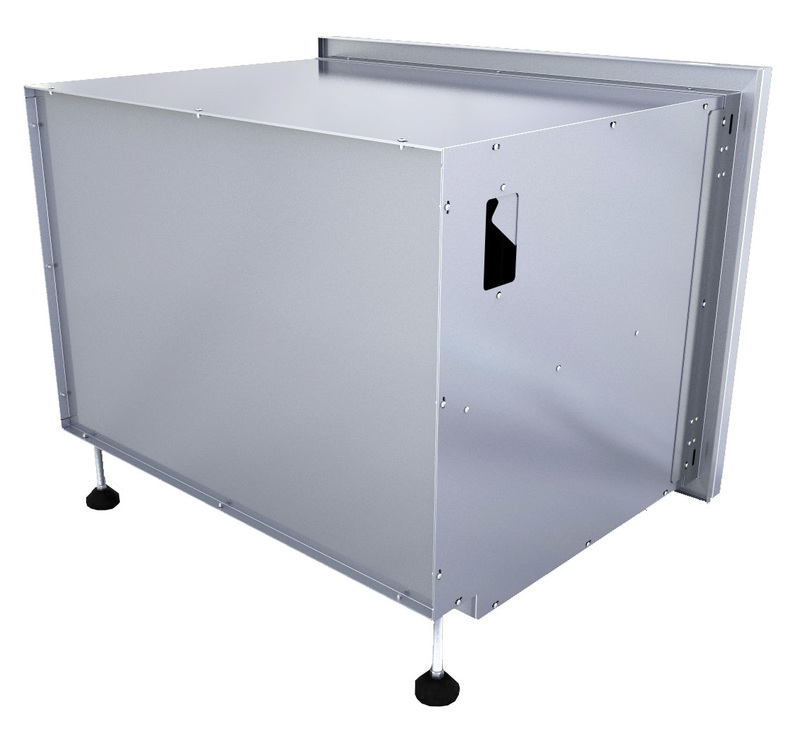 On back left side of component box is a removable panel allowing utility access for use with Stereo Components and or DVD player. 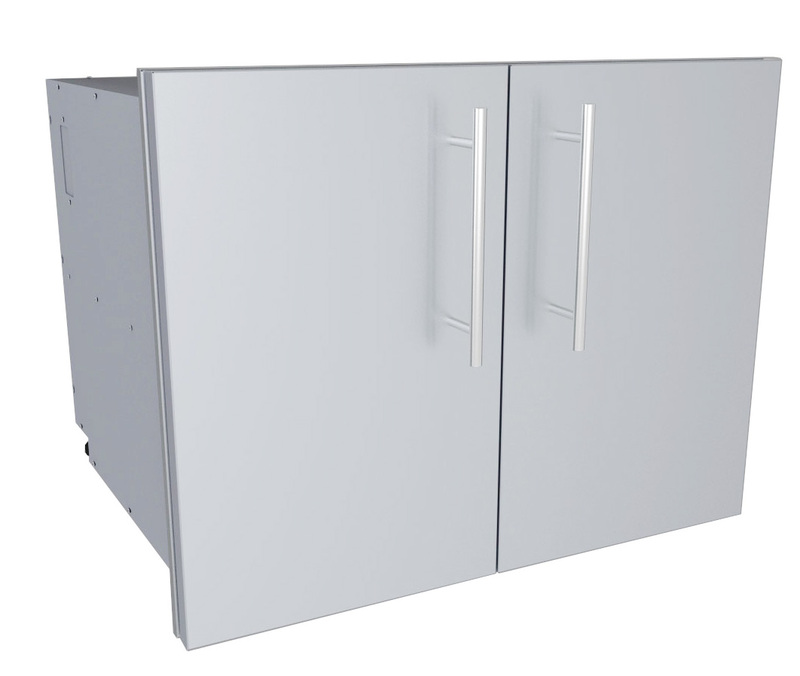 This Single Door Dry Storage Pantry is specially designed to be the same consistent 23 in.height as all other Designer Series components – which provide a true designer friendly appeal. 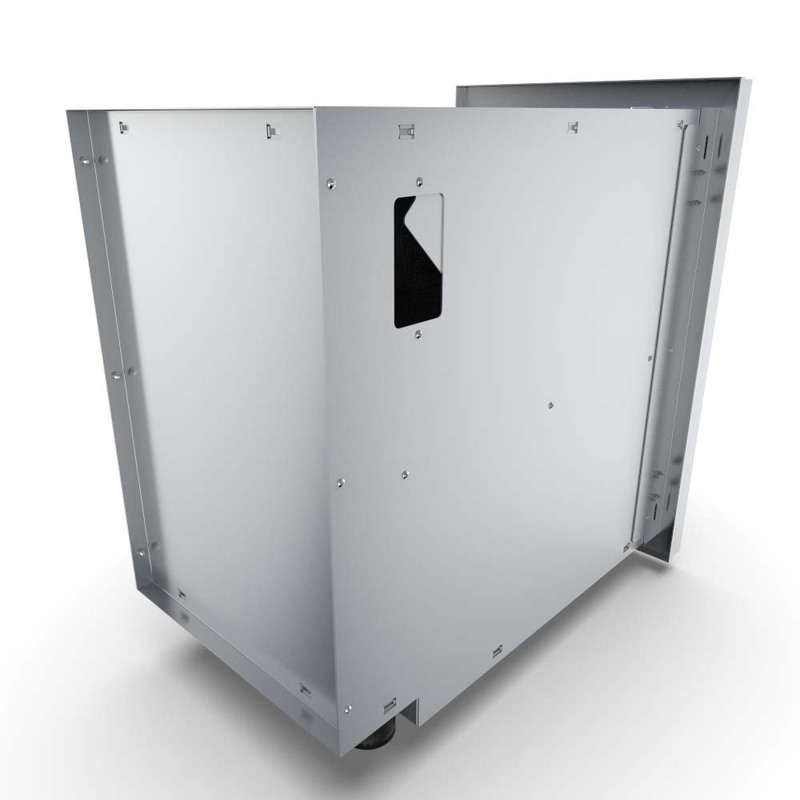 The component is raised off the finish wall 1-1/2 inches so to work with most any island structure including Veneer Stone, Stucco and as extra 4 inch deep inside flange to work with all Masonry Stone types. 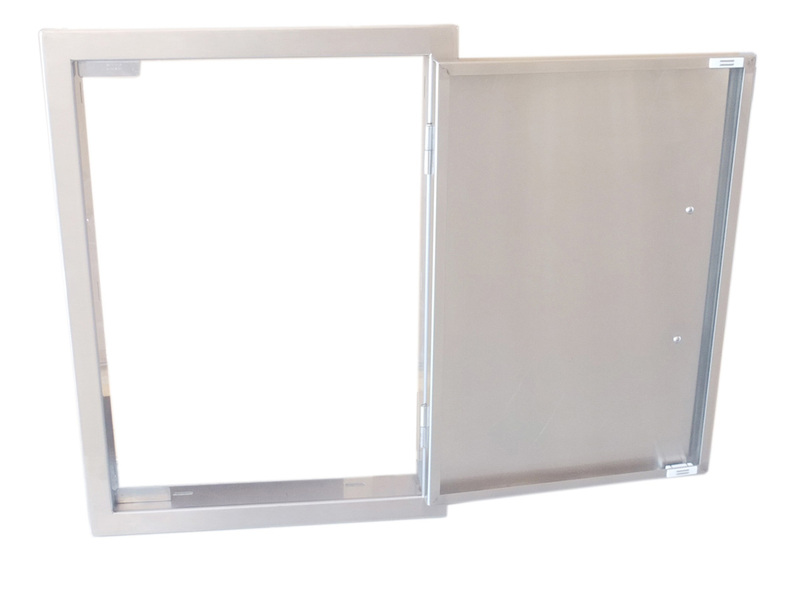 In Addition the frame is designed with an additional 1/16 inch frame around all four sides of component, plus adjustable Self-Leveling Legs in back. 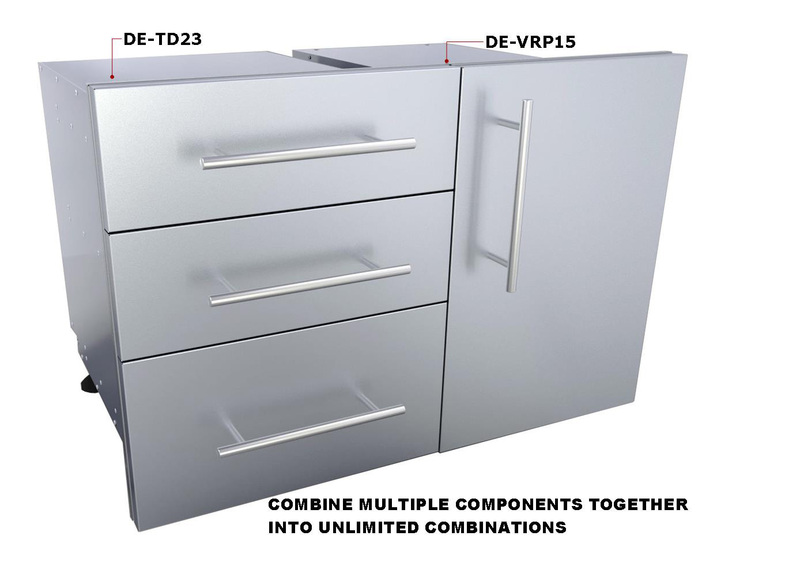 Which make all components multi-configurable Vertically & Horizontally, and are styled to match with Sunstone® Cabinet Island products, with both Cabinet Island and individual Designer Component combinations. 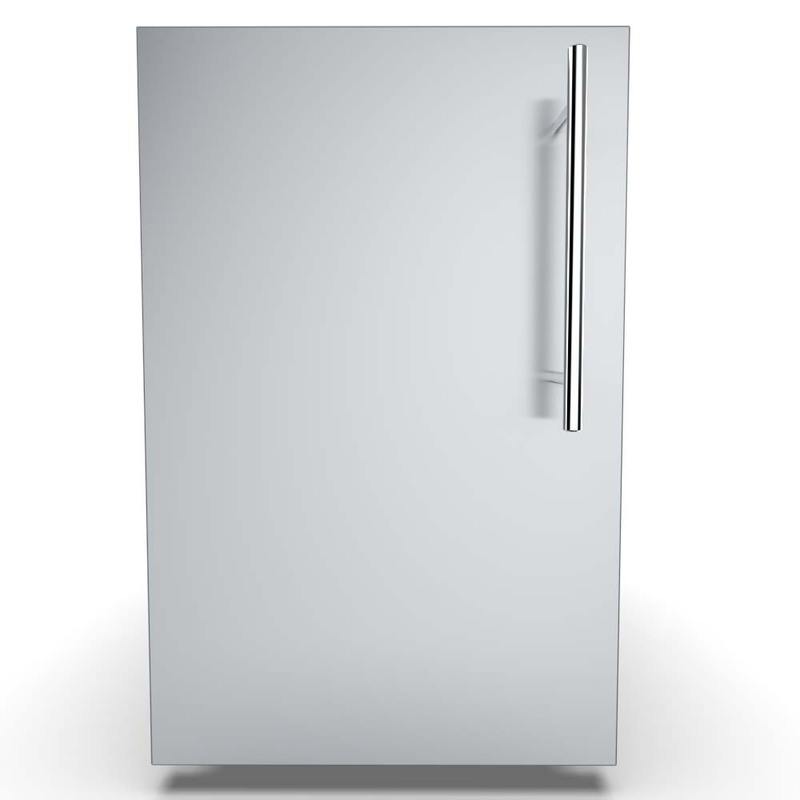 The Sunstone® Designer Series, Raised Style 30 in. 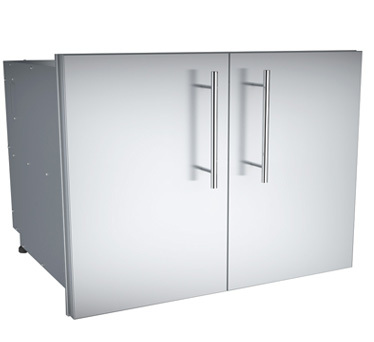 Width by 23 in.Height Double Door Storage Pantry with inside Shelf provides a dry storage space inside island structure to store away oversized grill tools, BBQ accessories, sealed dry goods and other spices. 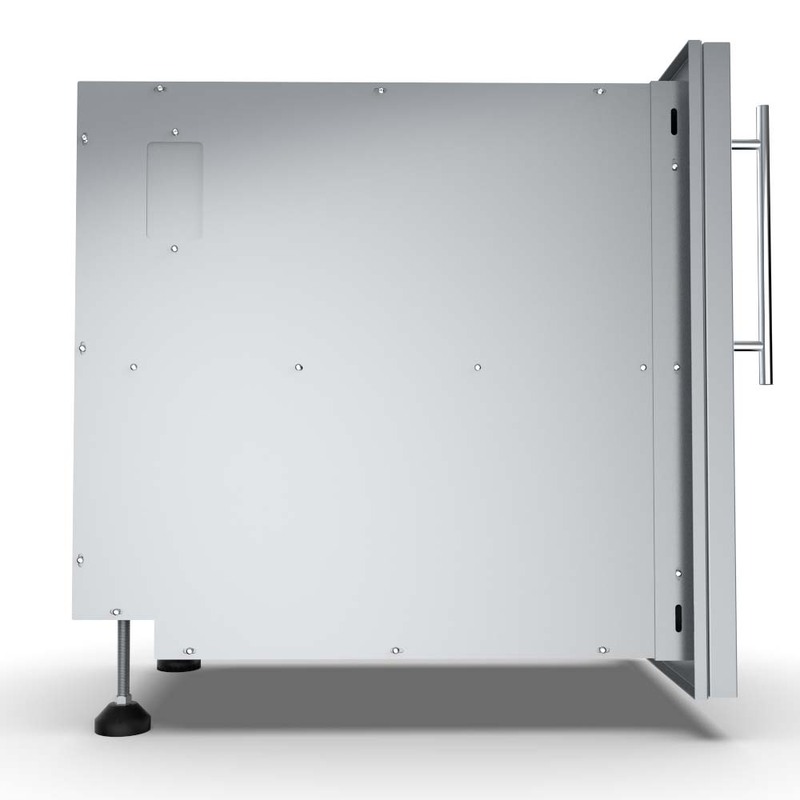 On back left side of component box is a removable panel allowing utility access for use with Stereo Components and or DVD player. 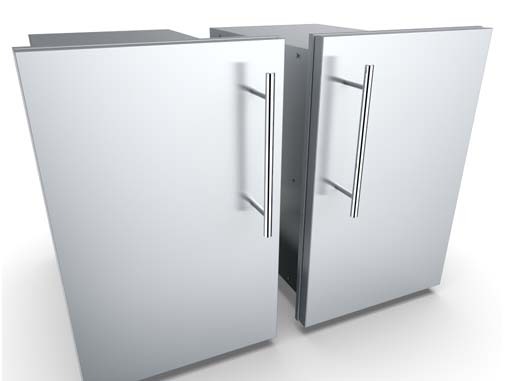 This Double Door Dry Storage Pantry is specially designed to be the same consistent 23 in.height as all other Designer Series components – which provide a true designer friendly appeal. 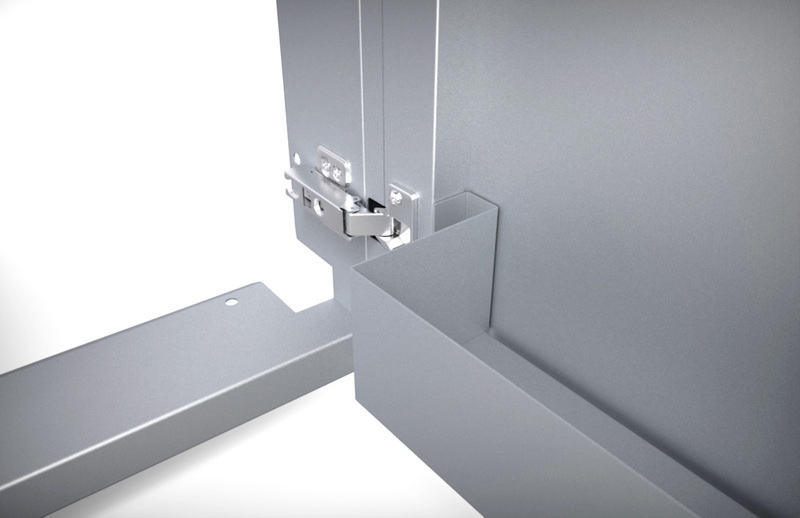 The component is raised off the finish wall 1-1/2 inches so to work with most any island structure including Veneer Stone, Stucco and as extra 4 inch deep inside flange to work with all Masonry Stone types. 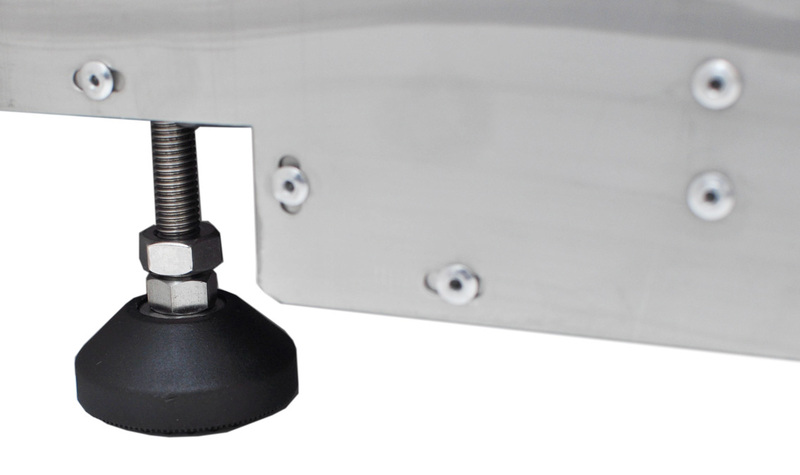 In Addition the frame is designed with an additional 1/16 inch frame around all four sides of component, plus adjustable Self-Leveling Legs in back. 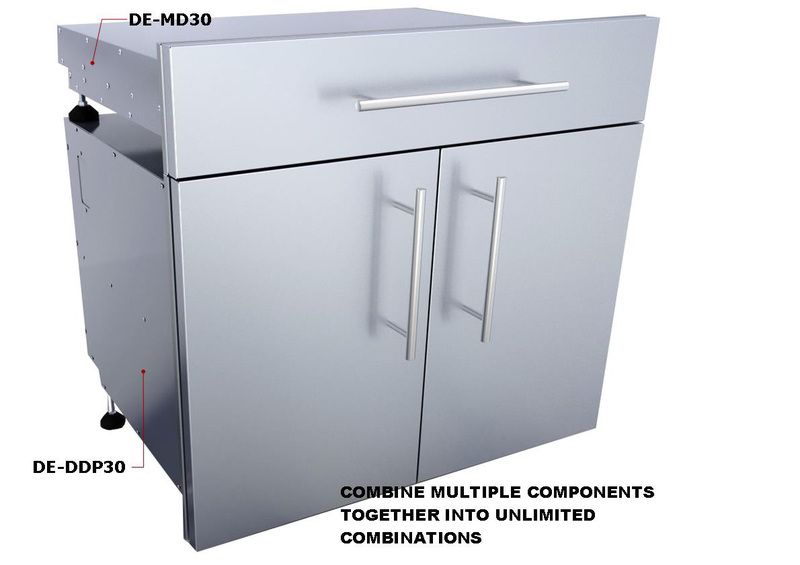 Which make all components multi-configurable Vertically & Horizontally, and are styled to match with Sunstone® Cabinet Island products, with both Cabinet Island and individual Designer Component combinations.